The sun is really making its presence known these days with plenty of daylight after 7pm and temperatures reaching the 30 degree mark across Ontario. With that in mind, it seemed appropriate to select a Spanish wine for this week: our weather is making it easy to relate to a country which books a mid-day siesta to dodge the heat of high noon. Bodegas Piqueras Castillo de Almansa Reserva hails from Almansa Spain, and all you need to do to feel like you’re there is take a sip, close your eyes, and step into the sun. Tasting Notes: Castillo de Almansa Reserva is a blend of Monastrell (Mourvèdre), Garnacha (Grenache) and Tempranillo aged in American oak for 12 months, creating flavours of raspberry, stewed plum, spices and vanilla delivered through a smooth palate and lingering finish. Enjoy With: Red meat dishes of all kinds (BBQ wine! ), roast game birds and grilled fish dishes. 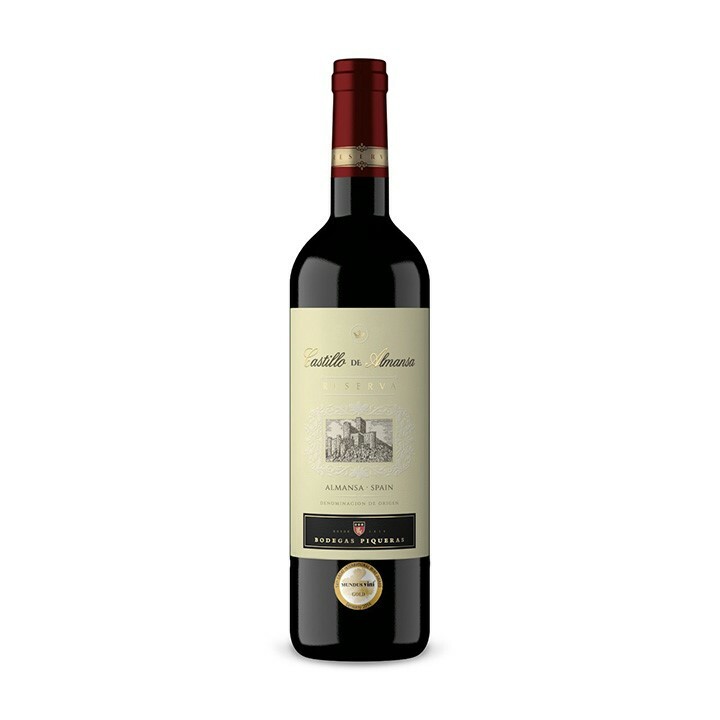 Style: A dry, rich and medium-bodied red wine. Terroir/Region: The Almansa region of Spain is a plain sloping from 900m altitude down toward the ocean from the higher plains of La Mancha. Tradition still guides vineyard work here with producers commonly dry-farming (not irrigating) their vineyards and growing bush vines – growing vines to look like small trees instead of training them upward. These techniques help regulate vine growth, giving the fruit and resulting wine strong flavours and soft tannins. Producer: Bodegas Piqueras has been family-owned and operated since its founding over a century ago. Each generation has worked to build on the labours of its relatives, with the latest efforts being a push for organic certification. The family has named this bottling after the historic castle which stands in the heart of the Almansa region and is pictured on the label. The Castillo de Almansa itself was built by the Moors after their occupation of Spain in the 8th century, so you could say the Moorish reign in Spain fell mainly on the plains… (groan). Availability: Bodegas Piqueras Castillo de Almansa 2014 is available year-round in the Spain section of your local LCBO. The 750ml bottle is $11.15 ($2.00 off) until June 24th, so grab your bottle today!